THE AMAZON RAINFOREST is the largest rainforest in the world. It extends for 3,000 mi (4,828 km) from the ANDES mountains to the ATLANTIC OCEAN. The rainforest covers parts of BRAZIL, PERU, ECUADOR, COLOMBIA, BOLIVIA, and VENEZUELA, encompassing over a billion acres and covering one-third of South America. The 6,500 mi (10,461 km) of the great AMAZON RIVER, second only to the NILE RIVER in length, flows throughout the rainforest. Eleven hundred tributaries, some of which are over 1,000 mi (1,609 km) long, feed into the Amazon River. Since the rainforest is close to the equator, its CLIMATE is hot and humid at all times. From 40 to 80 in (100 cm to 200 cm) of rain falls annually in the eastern section of the rainforest, while the western region experiences around 160 in (400 cm) of rain each year. THUNDERSTORMS occur more than 200 days of the year. In sections of the rainforest that are closest to the equator, rain falls almost constantly. Trees within the rainforest are always green, but many shed their leaves in response to biological and climatological changes. The Amazon Rainforest is considered a resource for the entire world, in part because of the plant life that protects the world’s environment from the greenhouse effect. When the rainforest performs its natural function, at last 50 percent of the rain returns to the atmosphere on the leaves of trees through the process of evapotranspiration. This process uses the water loss from the trees in the rainforest to form clouds that make rain in other, more protected parts of the rainforest area. The rainforest is made up of four layers: the emergent layer, the canopy, the understory, and the forest floor. The emergent layer is located at the top of the trees of the rainforest. This layer is subject to intensive amounts of sunlight, high temperatures, low humidity, and strong winds. The canopy, sometimes called the upper canopy, is made up of the tallest trees in the forest. These trees, which may grow to 200 ft (61 m), protect the land below from harsh sunlight. The middle layer of the rainforest, known as the understory or lower canopy, may be as high as 20 ft (6 m). It is made up of various small trees, vines, and shrubs. 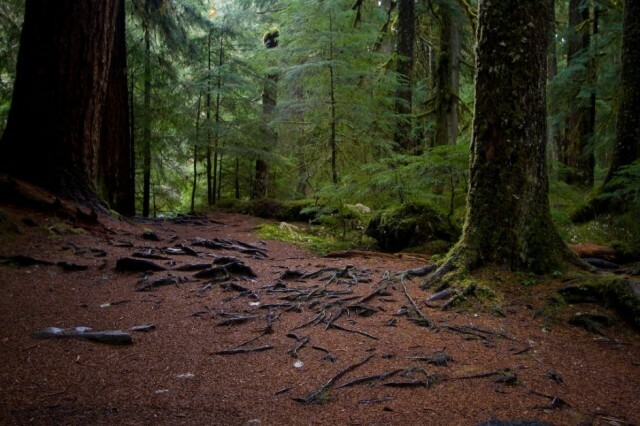 The forest floor or the jungle is composed of ground cover such as herbs, mosses, and fungi. The wildlife in this section of the rainforest eats roots, seeds, leaves, fruit, and smaller animals. Around two-thirds of all animals and plants in the rainforest inhabit the canopy. For instance, in a section of a canopy in the Peruvian rainforest, scientists identified over 50 species of ants, 1,000 species of beetles, some 1,799 arthropod species, and approximately 100,000 species of fauna. Samples taken from canopies in PANAMA, Brazil, Peru, and Bolivia revealed over 1,500 species of beetles in each canopy. Because the canopy area is not easily accessed and because many insects find shelter underneath the leaves, it is thought that thousands of species may yet be discovered. Some species of wildlife spend their entire lives in the trees of the rainforest. Poverty, population growth, greed, and shortsightedness have historically been the major threats to the Amazon Rainforest. Construction, which often operates on the principle of “slash and burn,” has created a new threat since the middle of the 20th century. For instance, in February 2001, officials in Ecuador contracted with an international consortium to construct the 300-mi (483-km) Oleoducto de Crudos Pesados (Heavy Crude Pipeline) intended to transport crude oil from the rainforest to the Pacific Coast, affecting forests and wildlife and displacing native inhabitants. 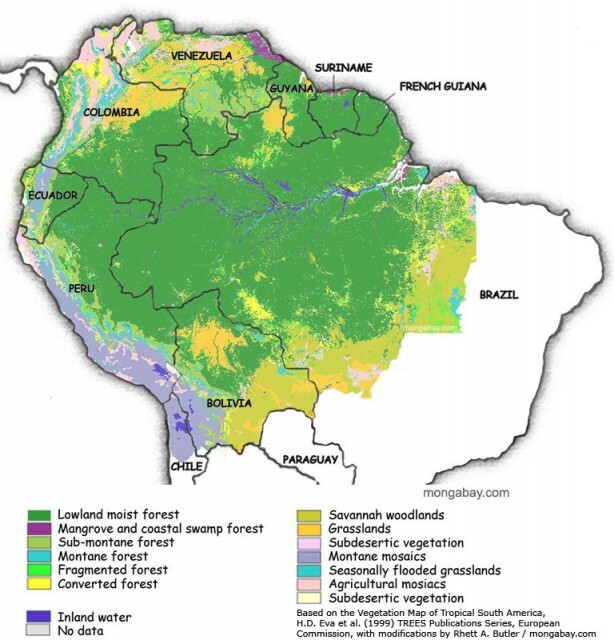 Three major soil types have been identified within the Amazon Rainforest. One layer, known as ultisols, is made up of kaolinite clay and minerals that are transported from flooded upper soil levels. This acidic soil, containing aluminum compounds, is not conducive to plant life. A second layer, called oxisols, which is made up solely of kaolinite clay, is thick and sticky and virtually unusable to plants. Spoldsol soils, which are found in higher lands that are not subject to flooding, tend to be sandy and acidic and are incapable of retaining nutrients. Soils in the rainforest are generally unable to absorb water, further contributing to the difficulties that local farmers face. On the other hand, soils within wetter parts of the rainforest provide an excellent growing area for exotic tropical plants, many of which serve as food for animals in the rainforest. Around 80 percent of all food eaten by the people of the world today originated in the tropical rainforests, including over 3,000 species of fruit. Edible produce from the Amazon Rainforest include: Brazil nut, cashew, banana, fig, coffee, cocoa, vanilla, passion flower, breadfruit, yucca, avocado, coconut, orange, lemon, grapefruit, guava, pineapple, mango, tomato, corn, tomato, potato, rice, winter squash, yam, black pepper, cayenne pepper, chocolate, soybean, cinnamon, clove, ginger, sugarcane, tumeric, and coffee. Orchid, philodendron, bamboo, mahogany, and rubber fungus are also found in the rainforest. More animals and plants are found within the Amazon Rainforest than in the rest of the world combined. At least 500 species of mammals, 175 varieties of lizards, 300 species of other reptiles, and innumerable species of tree climbers are among the many animals identified so far. Scientists and environmentalists believe that there are thousands of species of wildlife in the rainforest that have yet to be identified. Some of the animals found in the rainforest include anaconda, ant, anteater, beetle, boa constrictor, pit viper, butterfly, katydid, piranha, capybara, caiman, coatimundi, kinkajou, puma, tarantula, tree frog, moth, tapir, cockroach, iguana, jaguar, cougar, deer, lemur, orangutan, marmoset, pink dolphin, wild dog, wolf, raccoon, otter, ocelot, three-toed sloth, mosquito, bot fly, bat, and termite. One-third of the world’s birds reside in the Amazon rainforest, including the macaw, parrot, toucan, harpy eagle, crow, ant bird, and umbrella bird. Approximately one-fifth of all freshwater fish are found in the Amazon Basin. Unfortunately, a number of unscrupulous individuals have engaged in illegal wildlife trading, decreasing the number of animals found within the rainforest and further threatening the natural balance of life there. Gonzalo and Francisco de Orellana, two Spanish explorers, discovered the Amazon River region in 1541 while looking for valuable minerals and spices. They encountered native people, including a band of women warriors who became known as Amazons. Many of the native people died from diseases brought by explorers to the New World or from being enslaved. Whole tribes were wiped out. In the 16th century, over 10 million natives resided in the Amazon Rainforest. That number had decreased to less than 200,000 by the beginning of the 21st century. 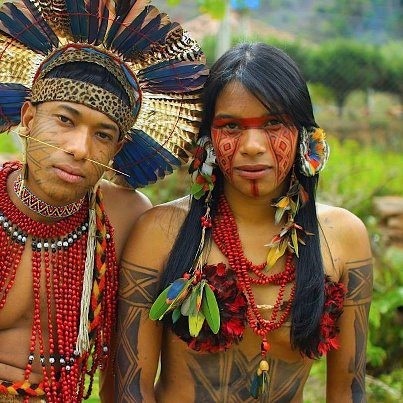 In Brazil, for example, only 10 percent of the original tribes remain. Some of the poorer members of the tribes that inhabit the Amazon Rainforest today survive on subsistence farming, further destroying valuable resources. Natives within the rainforest eat cassava, yucca, fruits, nuts, fish, insects, and animals such as rabbits, deer, and wild pigs that they shoot with rifles or blowguns. Some tribes, such as the Kayapó, have become more Westernized, enjoying bank and money market accounts, airplanes, tractors, bulldozers, and other luxuries of modern life. James Alcock, a professor at Pennsylvania State University, has estimated that at the current rate of destruction, the point of no return in the Amazon Rainforest could be reached as early as 2016. 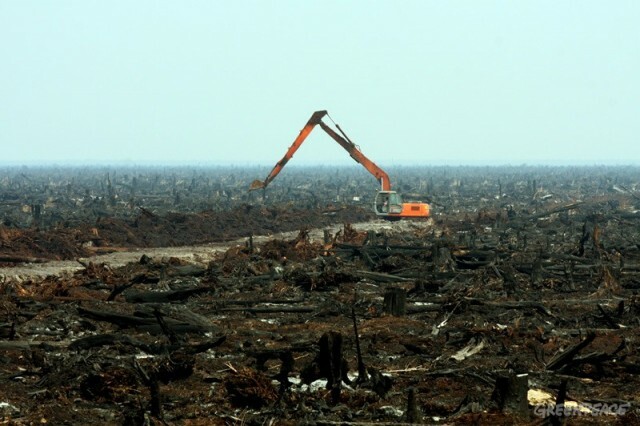 Unchecked destruction could entirely wipe out the rainforest by the middle of the 21st century. Poverty, population growth, greed, and shortsightedness have historically been the major threats to the Amazon forests. Construction, which often operates on the principle of “slash and burn,” has posed a serious threat since the middle of the 20th century. Much of the Amazon Rainforest was destroyed by João Baptista Figueiredo, the president of Brazil who built the Trans- Amazonian Highway, destroying vast tracts of the forest in western Brazil This highway provided a means for loggers, ranchers, builders, prospectors, and a variety of other people and businesses from around the world to flock to the rainforests, speeding up its destruction. Fire has also become a major threat in recent years as the rainforest has become drier. The fragile lands of the rainforest are also being used for cattle grazing and subsistence farming. The worst period of destruction in the rainforest came between 1978 and 1990 before the destruction of the rainforest became widely known. Francisco Alves “Chico” Mendes Filho, a Brazilian rubber tapper, union organizer, and ecologist, became the voice of those who were determined to educate the world about the Amazon Rainforest. Mendes was instrumental in the foundation of the National Counsel of the Seringueiros and helped to plan the extraction reserves, which created government-owned conservation areas designed to give rainforest natives control over the production and protection of the Amazon Rainforest. Mendes was murdered on December 22, 1988, in the doorway of his home. Through the efforts of the Chico Mendes Committee, Darly and Darcy Alves de Silva were charged with his murder. Mendes’s death galvanized the conservationists and enhanced their efforts to protect the rainforest. Some scientists believe that as much as 30 acres of rainforest are being destroyed every minute in the rainforests of the world. As acre after acre of rainforest is being destroyed, nature’s natural shield is disappearing, since there are fewer trees to use the carbon dioxide as food through a process called photosynthesis. As a result, levels of carbon dioxide in the atmosphere are increasing every year. Intrusions into the rainforests have also destroyed valuable resources such as medicinal plants, quinine, muscle relaxers, steroids, and various cancer-fighting drugs. Seventy percent of the 3,000 drugs with cancerfighting properties that have been identified by the U.S. Cancer Institute are found in the Amazon Rainforest. American drug companies are so convinced of the potential for finding further disease-fighting drugs in the rainforest that some 100 companies have funded projects to study the plants used by native inhabitants of the rainforest for thousands of years. One third of the Amazon Rainforest is located in Brazil, where authorities believe that as much as 80 percent of all logging done in the rainforest is done illegally. In 2003, authorities launched a satellite system designed to prevent illegal logging in the rainforest. Brazil has also begun to levy fines against multinational corporations that engage in illegal logging. Peru has been losing approximately 716,000 acres (289,755 hectares) of rainforest a year. In March 1992, the nonprofit Amazon Center for Environmental Education and Research Foundation (ACEER) opened the Amazon Biosphere Preserve in Peru to increase knowledge of the Peruvian rainforest and to provide protection for this fragile resource. One way that ACEER has done this is through the erection of a canopy walkway project that allows greater access for scientists to study the living matter that resides in the rainforest. The walkway also provides tourists with a firsthand look at the mysteries of the Peruvian rainforest. ACEER’s facilities include also bird and butterfly preserves. Ecuador has been much more remiss than either Brazil or Peru in protecting its section of the Amazon Rainforest. Ecuadorian authorities have permitted logging, road construction, and oil exploration to destroy approximately 466,800 acres (188,907 hectares) of rainforest a year. In February 2001, officials in Ecuador contracted with an international consortium to construct the Oleoducto de Crudos Pesados (Heavy Crude Pipeline) intended to transport crude oil from the rainforest to the Pacific Coast, destroying forests and wildlife and displacing native inhabitants. As a result, only 1 percent of Ecuador’s rainforest has survived. The rainforest in Colombia is host to over 1,815 species of birds, 590 species of amphibians, and 3,200 species of fish. Like Ecuador, Colombia has done little to check the problems caused by illegal logging, mining, pollution, agriculture, and illegal animal piracy. Similarly, Bolivia has done little to stop multinational logging companies and cocoa and soybean farmers from destroying much of its section of the Amazon Rainforest. Venezuela has had the additional problem of dealing with oil exploration within its region of the rainforest. Big oil companies destroyed much of Venezuela’s forests before 1974, when authorities nationalized the oil industry. 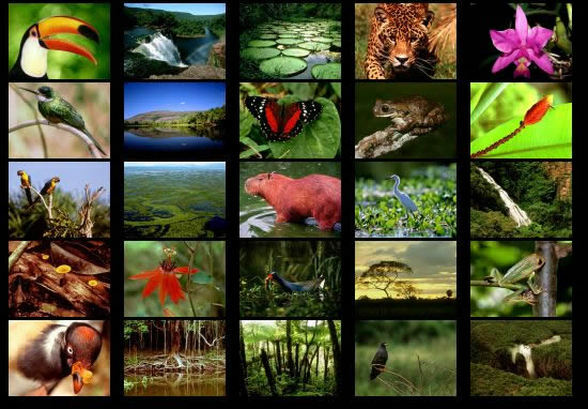 Belatedly, the Venezuelan government created a number of national parks and passed protective legislation and recognized the rights of native inhabitants of the rainforest. What Controls When and Where the Sun Rises and Sets?